I hosted a number of garden bloggers recently for a technical pow-wow-slash-holiday party and the tree topper we ordered from Etsy hadn't yet arrived. Five minutes before people arrived I tied a spent Allium schubertii to the top branch. I think I like it better. The gold star arrived a few days later and is hanging like mistletoe in our entryway. I think stars atop trees are supposed to represent the star that the Wise Men followed to Bethlehem? A bunch of dudes following a funky looking onion across the countryside makes about as much sense as the rest of the Christmas mythology to me, so this suits us. 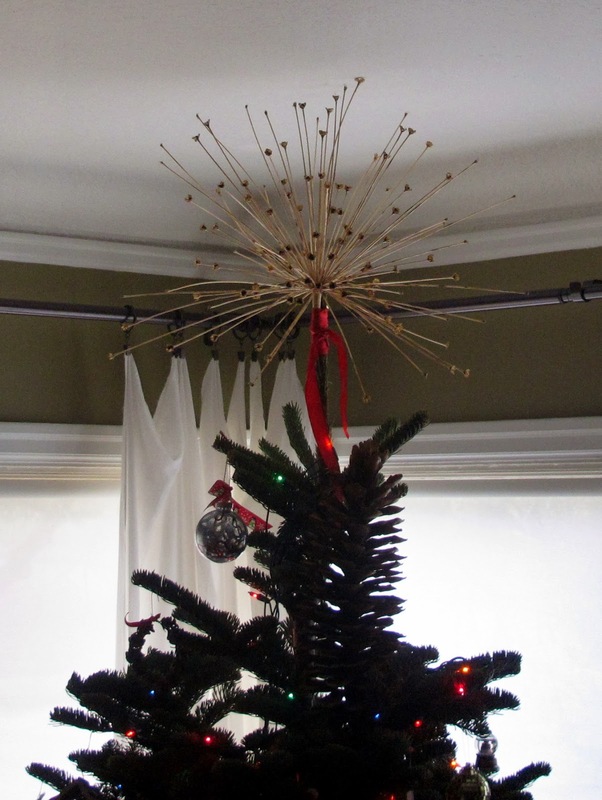 I love the Allium tree-topper. That was such a brilliant touch! Okay, that's happening next year. Genius! Definitely spray it gold -- those Stars of Persia allium bulbs are real sculpture when they are dried and they last forever. Yours looks perfect atop the tree. Inspired! 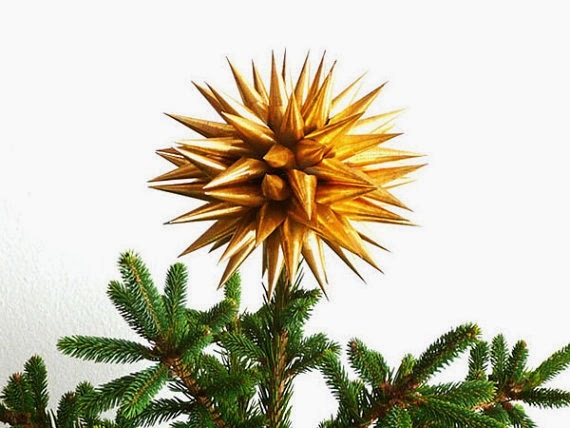 I've used a gold-sprayed sun at the top of my tree for years but I'd switch to allium if I had a chance in hell of growing that in my garden. Maybe I should see what I can do with succulents.